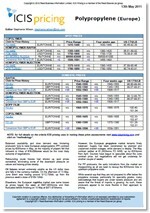 ICIS publishes a weekly styrene acrylonitrile (SAN) report in Asia and Europe. This independent and reliable report covers spot prices for general purpose in Asia and compounding, commercial and speciality grades in Europe. 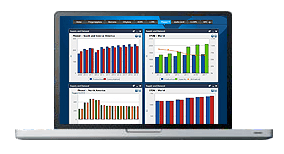 Our locally-based reporters gather market intelligence and use this to produce unbiased overviews of market movements, including regional news, production data, feedstock prices and supply and demand updates. This up-to-date information is an invaluable resource for those involved in the SAN market. Styrene-acrylonitrile (SAN) prices are uncertain looking towards Q3 in Europe. SAN experienced volatility during the first half of the year, with prices in May dropping after a triple-digit decrease in the styrene barge contract for that month. Although the market is expected to calm during the summer season, further volatility in feedstock costs could negativity effect the supply and demand fundamentals. Over in Asia, producers have lifted SAN prices in recent weeks and continue to look to stronger demand in the third quarter, with the manufacturing sector in China expected to pick up during the production for exports season. Recent strength in ABS prices have also given SAN prices a boost and SAN suppliers often peg prices some $100-200/tonne lower than ABS. We offer the following regional Styrene acrylonitrile analysis and news coverage to keep you informed of factors and developments affecting prices in the Styrene acrylonitrile marketplace. 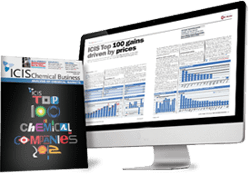 Over 25 years of reporting on key chemicals markets, including Styrene acrylonitrile, has brought global recognition of our methodology as being unbiased, authoritative and rigorous in preserving our editorial integrity. Our global network of reporters in Houston, London, Singapore, Shanghai, Guangzhou, Mumbai, Perth and Moscow ensures unrivalled coverage of established and emerging markets. Styrene Acrylonitrile (SAN) is an optically clear resin which when compared with general-purpose polystyrene has improved toughness and rigidity, better solvent and chemical resistance, and somewhat greater heat resistance. Styrene acrylonitrile (SAN) is a copolymer of styrene and acrylonitrile. It is an optically clear resin which when compared with general-purpose polystyrene (GPPS) has improved toughness and rigidity, better solvent and chemical resistance, and somewhat greater heat resistance. SAN copolymer ranks among the hard engineering plastics. Its properties are influenced both by its molecular weight and by its acrylonitrile content. If the two parameters are increased simultaneously, this will raise the strength, rigidity, impact strength, heat resistance and stress cracking resistance. Key end uses for SAN are household and sanitary applications, office articles, cosmetic packaging, electrical, transparent covers, lighters, sanitary applications, medical applications and battery housings.